Opponents of the U.S. Federal Communications Commission’s new net neutrality rules aren’t giving up, with a conservative advocacy group saying it has collected more than 540,000 signatures on a petition asking Congress to overturn the agency’s action. In November, Obama called on the FCC to pass net neutrality rules that reclassified broadband as a regulated common carrier. He also noted then that the FCC is an independent agency. “Ultimately, this decision is theirs alone,” Obama said then. And while some opponents of the FCC’s rules fear the regulations will allow new taxes on broadband and limit some private investment in broadband networks, it’s uncertain whether those predictions will come true. Some studies predicting billions of dollars in new broadband taxes tie the FCC’s net neutrality action to a separate proceeding at the agency examining whether broadband providers should pay into its Universal Service Fund. The USF is pool of money that helps subsidize telephone service and now broadband in rural areas. Still, American Commitment said it was encouraged by the response of its members. The 3-year-old organization has “never seen such an intense citizen response in opposition to a federal regulatory action,” Phil Kerpen, president of American Commitment, said in a statement. 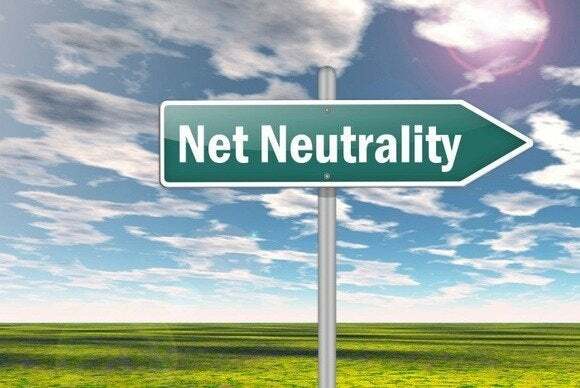 Earlier this year, Republican leaders in Congress proposed legislation that would overturn the FCC’s reclassification of broadband as a regulated common carrier while retaining some basic net neutrality protections. With widespread opposition from Democrats, that legislation hasn’t advanced, but American Commitment said it was encouraged this week when Representative G.K. Butterfield, a North Carolina Democrat, called on Congress to craft net neutrality rules. The petitions are just one effort to overturn the rules. This month, trade group USTelecom and ISP Alamo Broadband filed lawsuits challenging the FCC’s new rules. While American Commitment rallied opponents of the new regulations, net neutrality supporters haven’t been silent.